Born is South Korea and moving to the US at the age 15, Dr. Han looks to improve the quality of life or his patients by improving their health. Dr. Han earned his degree in Chiropractic Medicine from National University of Health and Sciences in Lombard, Illinois. While attending the university he developed an interest for Oriental Medicine. He then decided to pursue and obtained a Masters of Science degree in Oriental Medicine. Dr. Han is highly trained in Acupuncture with a concentration in Chinese Herbs. In addition, he has completed over 3500 hours of training in Oriental Medicine. 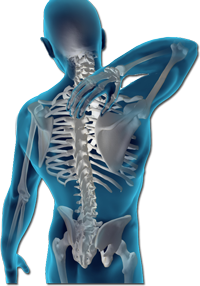 Here at Han Chiropractic, we accept most health insurance plans, as well as auto insurance and Workman comp claims. Please contact our office for detailed information on this.